The two Margarets were drowned in the rising Solway tide on 11 May 1685. 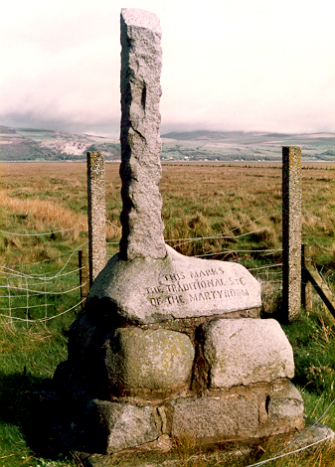 The Martyrs' Stake is located on the traditional site of the drowning of the two Margarets. The stake is reached from a small car park at the east end of the village, from where a path leads to the site.